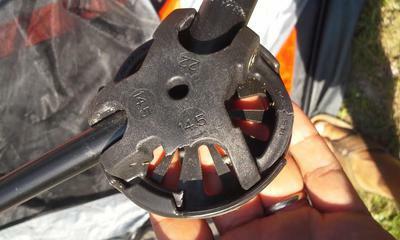 I am looking for the sort of star shaped piece that connects all the tent poles. it sort of looks like a star fish. side hub? I've been looking for months. Just might make my own out of aluminum or plastic. Were you able to find the part? I am looking for the same part.